C4JOINTS Collagen drink - wolting-internationals Webseite! C4JOINTS Collagen Drink Collagen, It is the main protein in connective tissues in the muscles, Ligaments, Cartilage and Bone. Collagen, form packets of solid proteins Collagen with some so-called "Collagen Fibbers’". Collagen, with ageing collagen may begin to decline resulting in low proportion of collagen and decline in the strength and structure of the Bone Joints and loss of elasticity, so everyone has looking for sources of Collagenas well as dietary supplements. Collagen, is one of the most common types of protein in the human body it constitutes about 30 percent of the body content of proteins. Collagen and back on the Bones and Joints many benefits, according to the proportion of its presence in the body and how the body interaction with it. Featuring product C4JOINTS Collagen Drink rich with minerals, vitamins and natural Antioxidants in addition to Collagen, which works on the health of joints, relieve aching joints are safe and effective manner, also it supports the construction of the joints in a safely manner. • C4JOINTS Collagen DrinkCollagen Drink, good option for those who suffer from Osteoporosis. 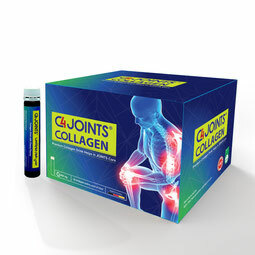 • C4JOINTS Collagen DrinkCollagen Drink, useful in the treatment of pain caused by Arthritis. • C4JOINTS Collagen DrinkCollagen Drink, works on the building, and restoration of Bone, Tendons, and Cartilage. • C4JOINTS Collagen DrinkCollagen Drink helps to improve and increase the flexibility and structure of jointsandbones. • C4JOINTS Collagen DrinkCollagen Drink, works to nourish and strengthen and improve the performance of all muscles of the body. • C4JOINTS Collagen Drink, is one of the types of beneficial proteins for the body.